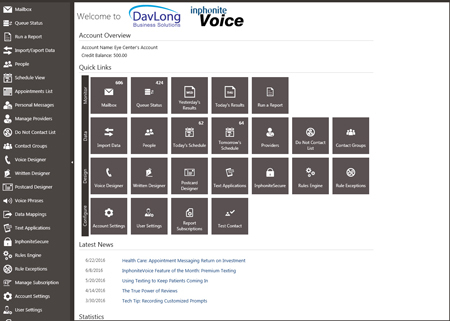 The new DavLong InphoniteVoice SaaS, an on-line service (no hardware or phone lines in your office required), is built on modern technology and automates appointment reminders to your patients via phone call, voicemail, text message and email, saving your staff time and decreasing patient no show rates. Also, you are not limited to only appointment reminders; clients can use the system for recall notices, practice surveys, happy birthday notices, etc. Another feature of this solution is its ability to mine your database for patients based on any variables within the system. For example, finding patients with a particular diagnosis, who haven’t been seen in the past “x” number of months or years and sending them a reminder to schedule an appointment. This helps you to provide better patient care and increase practice revenues. 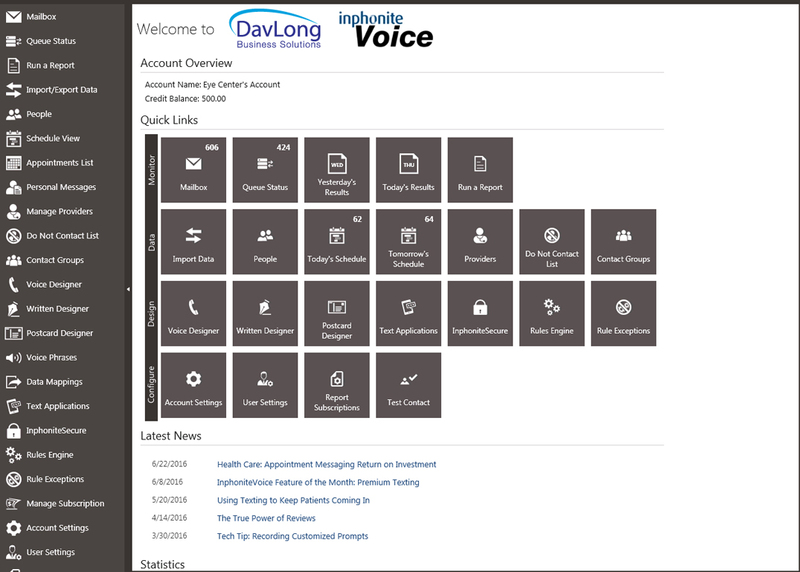 DavLong InphoniteVoice pricing is “pay as you go”. After a one-time setup and training fee, clients purchase credits which equate to a successful delivery of the reminder, notice, or survey, etc. After each month, you will receive an invoice for the amount of credits you used during that month. Depending on the type of delivery method, 1 credit equals 1 phone call or message, 2 text messages, or 5 emails.